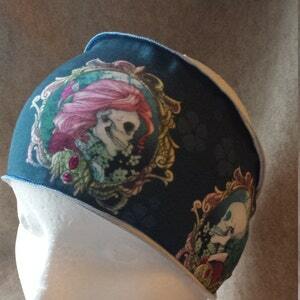 New item -Wide Twist Turban Headbands. Many of my prints are a larger scale, so this is a way I can have those on a headband/ headwrap and be able to show the whole image. 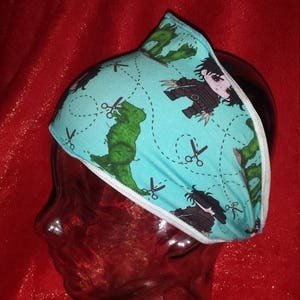 The twist can be worn in the front or back, and the is double sided. Want it narrower? Just scrunch or pleat it narrower. 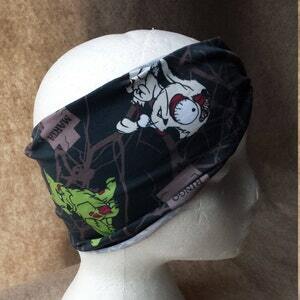 Makes a great earwarmer or cowl neck scarf. Stretch cotton/Lycra jersey knit is a custom printed fabric with skulls and roses on acid green. 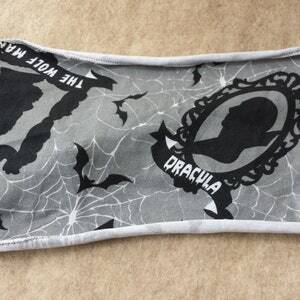 You will get the headband pictured.